On March 25, 2019, a jury in Anadarko, Oklahoma, issued a unanimous verdict in favor of Range Resources Corporation (Range), rejecting claims by 11 plaintiffs that Range had underpaid their royalties. The plaintiffs had opted out of an earlier class action settlement and brought individual claims alleging Range had underpaid royalties on gas production from 13 different wells. Range maintained it had properly paid royalties on the proceeds received by it from selling the gas production at or near the wells to various third-party purchasers under percentage-of-proceeds or percentage-of-index contracts, and that the gas was a marketable product when so sold. 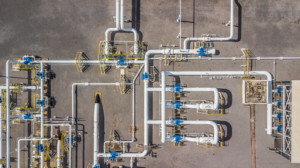 Typical of many cases making similar claims, plaintiffs contended the percentage-of-proceeds and percentage-of-index sales were disguised “service” agreements, and that the gas was not marketable until after it was processed at the buyers’ downstream processing plants. Following a two-week trial, the Court submitted the case to the jury on plaintiffs’ claims of breach of lease, fraud, and breach of fiduciary duty. The jury returned a unanimous verdict in favor of Range and against all plaintiffs on all claims. Range Resources Corporation was represented by Richard B. Noulles and Graydon D. Luthey, Jr., of GableGotwals; Jeffrey C. King and Jamie L. Bryan, of K&L Gates; and Jeromy E. Brown, of McCalla Brown Patel. Plaintiffs were represented by Allan DeVore and Jandra Cox, of Devore Law Firm; John W. Garland, of Payne & Garland; and Brett D. Sanger, of B. D. Sanger, PLLC.